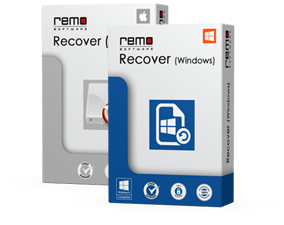 The MP3 Recovery Software is the perfect solution by which you can get all your deleted or lost MP3 files, photos, and videos from your hard drives, memory cards, iPods, USB drives, etc. The software also has the ability to recover different types of audio files, video files from the formatted or corrupted storage device. Music recovery will become relatively easy when the exact cause for deletion or loss of an MP3 file is known to the user. How might you get to delete or lose the MP3 files? You might have accidentally deleted the MP3 file and emptied the Recycle Bin using Empty the Recycle Bin option. When the files are deleted, they are moved to the Recycle Bin and you can restore those files when you need them back. If you have emptied the Recycle Bin then it is not possible to restore those files from Recycle Bin as they are permanently deleted from Recycle Bin resulting in a loss of files. If you have accidentally formatted the flash USB drive or memory card then all the files stored on the memory card or USB drive gets deleted resulting in a loss of files. You might have formatted your memory card or USB drive when you get error messages like “Disk in the drive is not formatted. Do you want to format it now?“Memory card not initialized etc. These error messages do not let you access the files until you format the storage device. Actually, formatting process is destructive because it assigns new structure to your storage device by deleting each and every file from it. You might have accidentally removed the flash drive i.e. either the memory card or USB drive while transferring the MP3 files to your computer resulting in a loss of files. You should use “Safely Remove Hardware" option to disconnect the memory card or USB drive in a proper way. If you remove the memory card or USB drive without using Safely Remove Hardware icon even when the data transfer process is not in progress then also you may lose your data. This is mainly because the Operating System of your computer may still have an access to the file system of the flash drive in the background without any indication. If you abrupt this process then you may lose the files stored on the flash drives. Storage devices: Hard drives (Internal and External), Memory cards (SD, CF, MMC, XD cards etc. ), USB drives and iPods. Seagate FreeAgent, Replica, GoFlex, Barracuda etc. Samsung Samsung 830, Samsung 470, Samsung G2 etc. Kingston SDHC Class 10 G2, CF 133X Elite Pro, Multi Media Plus, Data Traveler G3 etc. What you should do before recovering MP3 files using the MP3 Recovery Tool? Proper usage of storage device: you should always shut down the system in a proper way. If you are using any removable storage devices like memory cards, USB drives etc. then disconnect those storage devices using “Safely Remove Hardware" icon.